Cats Protection is backing a campaign that focuses on calling for better laws to protect cats and make improvements to their lives in Scotland. Cats Protection is one of a number of animal welfare organisations behind the More for Scotland’s Animal campaign. The campaign calls for candidates standing in May’s Holyrood election to make the pledge to ensure animal welfare is a priority if they are elected. Scotland’s MSPs are due to be elected in May and with animal welfare an issue on many voters’ political agenda, it is important that candidates know how passionate their constituents are regarding the welfare of cats. 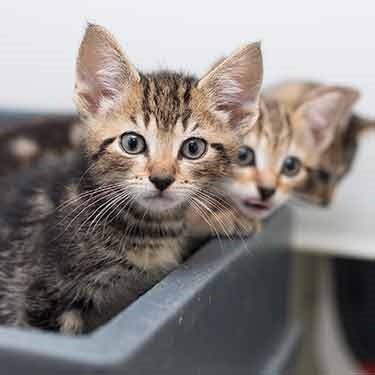 Once elected, MSPs will have the power to change many laws relating to the wellbeing of cats – from the breeding and sale of pets to the use of snares. Cats Protection supporters will need to urge candidates to make the More for Animals pledge. If you’re living in Scotland, the best way to support the campaign is to follow the link and let us know why you want the Scottish parliament to do more for animals. This will send a message to MSPs to remind them how important animals are to their constituents. If your candidate has already made the pledge, they will be sent an automatic thank you.